India was going well till the lunch and Tendulkar and Amit Mishra playing very well at the final day of The Oval test. 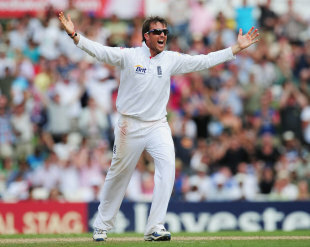 Tendulkar was heading towards his 100th test hundred, But Graeme Swann’s Six wicket led England to a famous whitewash. The final day of The Ovel test was so dramatic and Indian batting line collapsed during the afternoon session. Sachin Tendulkar fell for 91 and was unable to complete his 100th century. Amit Mishra and Sachin Tendulkar added 144 for the 4th wicket, but once Swaan made the break through the rest of India’s battle crumbled. The Indian inning was folded in 15 overs after that breakthrough.